After dressing up the edges of those left elevator parts, I laid them up on the shelf and dug out the trim tab parts. First we have to start off by bending the trailing edge of the skin for the trim tab, and this is done exactly like the elevators. So I set up my bending brake and put a very smooth and gradual bend on the trailing edge, and made sure it was straight with the spar in place. Granted, I took my time on this, I got it done in about 20 minutes or so. I have been reading up on bending these tabs for a while now, and watched the Orndorff videos, so I was pretty prepared to begin. 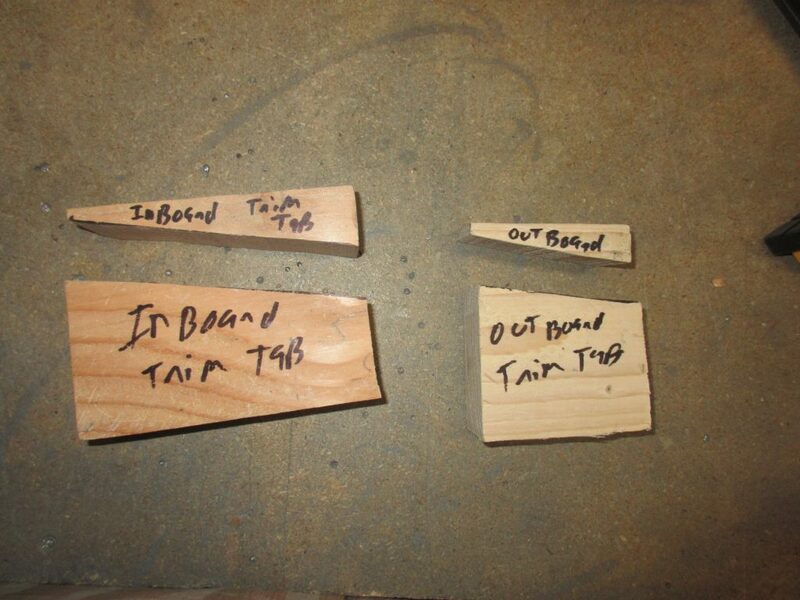 I started out by making some bending blocks that fit into the end of the trim tab. 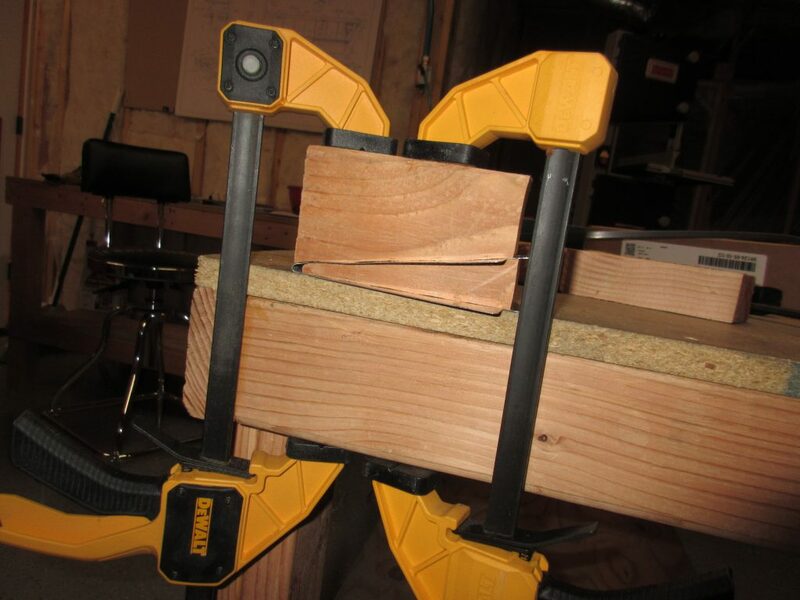 I used the tab itself to draw an outline on a piece of 2×4 and then cut the shape out on my bandsaw. I made two sets because the bends on each end are at slightly different angles. 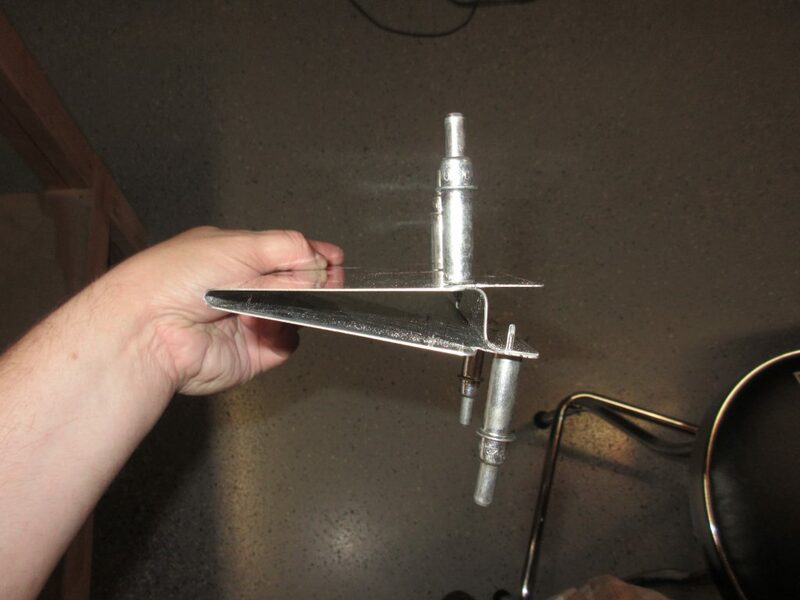 With the bending blocks made up, its time to get to bending the trim tab! I start out by inserting the blocks and clamping everything down to my work table nice and tight so it doesn’t move during bending. We start out by bending the bottom tab first, and overlapping it with the top tab, so that the top tab folds over the bottom, helping to keep water and debris from getting into the trim tab. I used a block of wood in my hand to get the bend started and once I had it at about a 45 degree angle, I use a small hammer against my wood block to help shape the metal. This way, I am using the soft face of my wood block against my tab and the bending block instead of the hard metal face of the hammer. This keeps from dinging, denting and scuffing the aluminum. I took lots of time and did this very slowly, using small light taps with the hammer against my block to bend the metal. Once I had the bottom tab bent up to a 90 degree bend, I did the exact same to the top tab, bending it to overlap the bottom. I am really happy with the results. Now that we have the inboard side of the trim tab bent, it time to move to the outboard. These tabs are MUCH smaller than the inboard side, so I had to take extra caution on these little suckers. They would be easy to crack if you work the metal to much. Eventually, I got them folded up, overlapping the bottom tab with the top just like on the other side. I stuck the spar into the trim tab and clecoed it in a few spots to check my work, and I am happy with how it turned out! 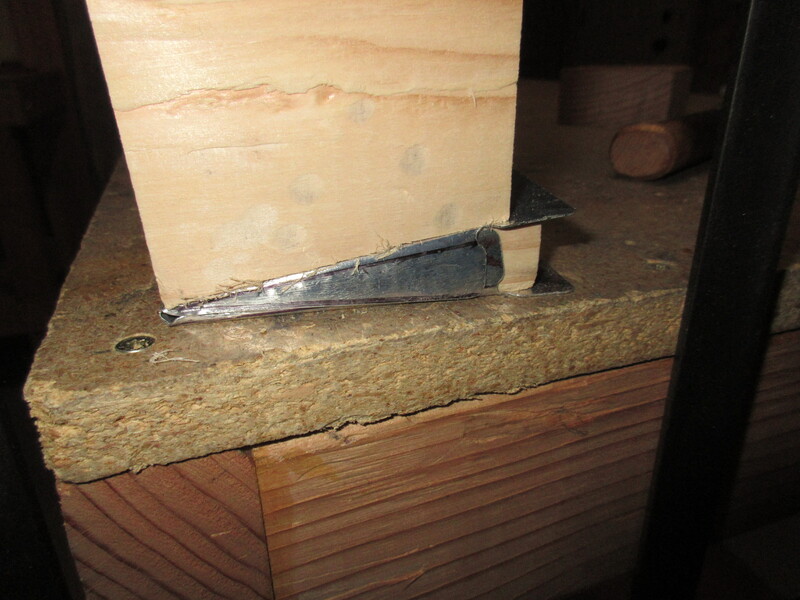 After having a good victory on the tab bending, I still felt good enough to continue on working. 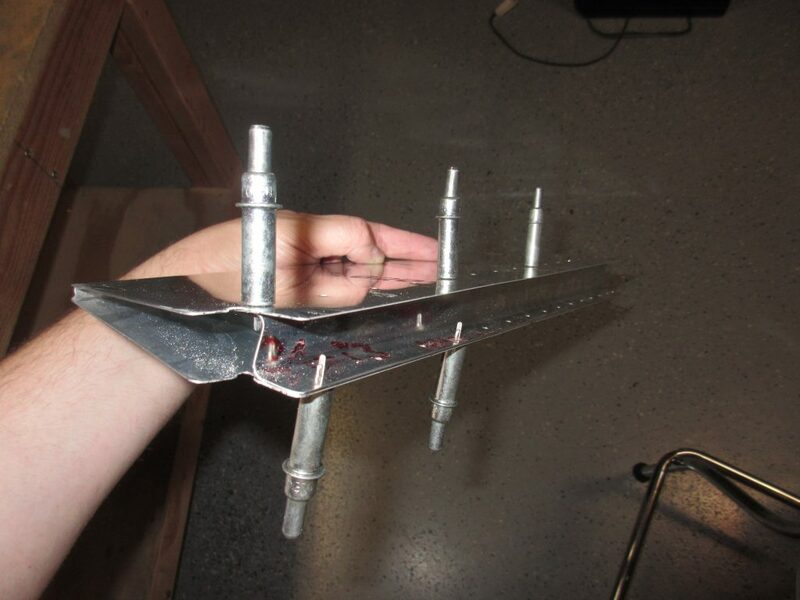 The plans have us mount the E-717 and E-718 trim tab horns to the bottom of the trim tab. E-717 has 3 of the 4 holes pre-drilled, so its easy to line up. Then I just clamped E-718 to E-717 with some side clamps, and then use one of the clevis pins and hinges from my electric trim kit to make sure the holes were lined up properly in the trim tab horns. 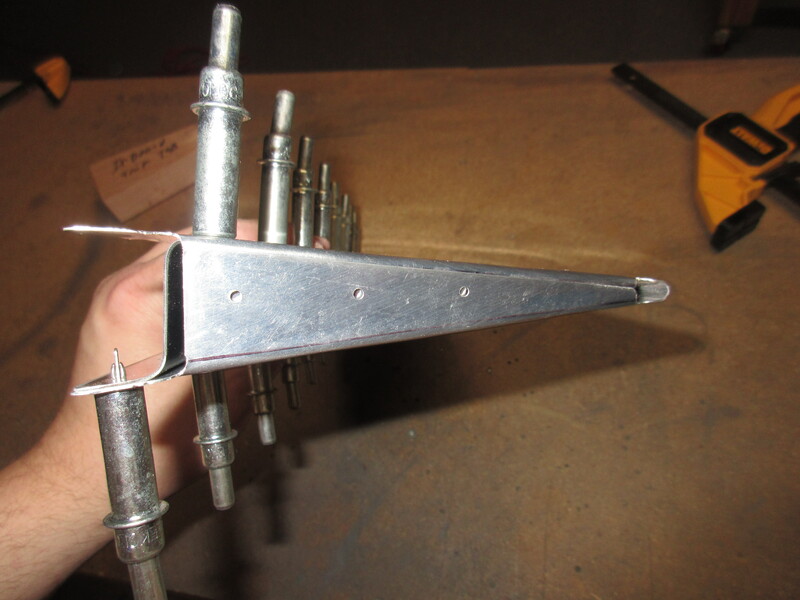 Once everything was lined up, I back drilled both of the trim tab horns to the trim tab. So, next up was to fully cleco on the spar, and then attach the hinge bracket so it can be back drilled. 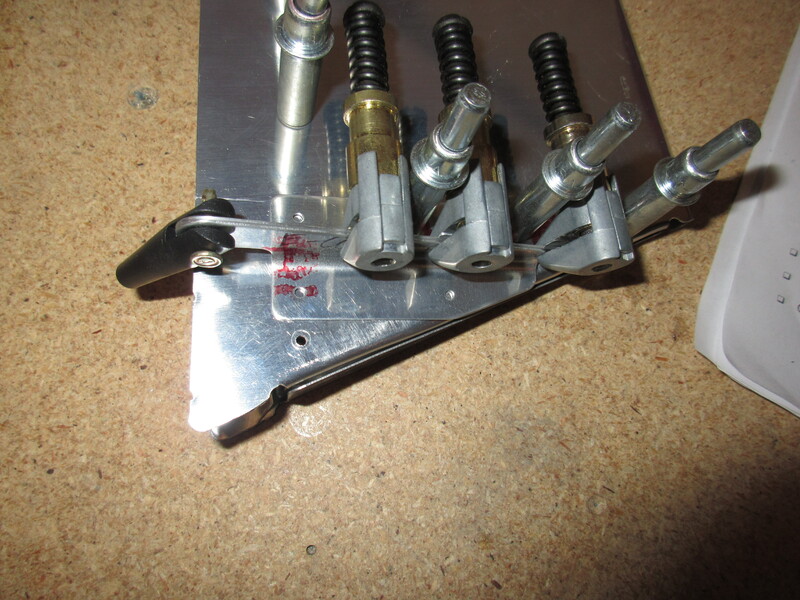 I studied the plans and made a few alignment marks on my E-721 trim tab hinge. Vans gives the measurements to the center of the hole in the skin/spar so its easy to mark the hinge with a sharpie, and then line up the cross hairs with the center of the hole. I also marked the entire centerline of the hinge to the measurements Vans gives with a sharpie so I could align every single hole. 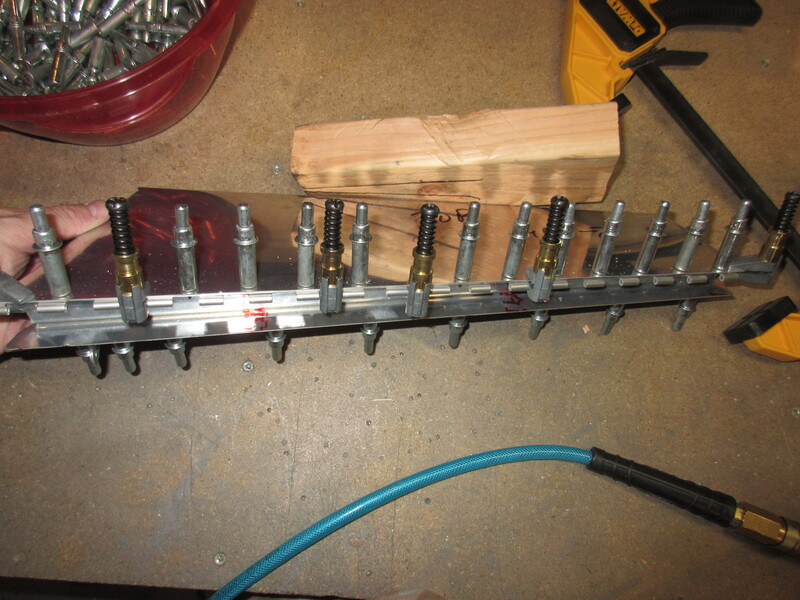 Once I had them all aligned, I used some cleco side clamps to hold it all together. 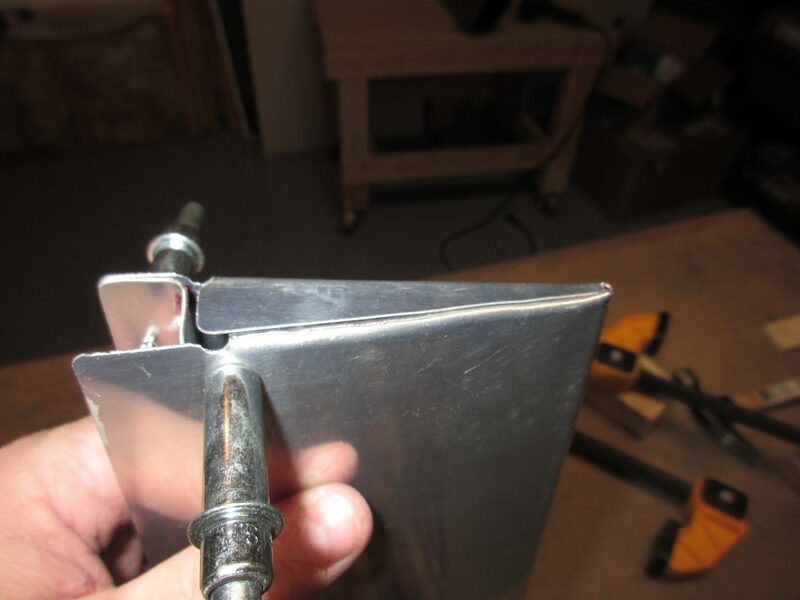 Once I had the hinge clamped on firmly, I started back drilling using the holes in the E-619-PP trim tab skin as my guides. Tagged Trailing Edge, Left Elevator, Trim Tab. Bookmark the permalink.